If I had to summarize this year in 3 words it would be, Don’t Fear Failure. 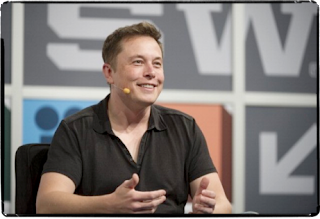 That was a mantra I heard from mega venture capitalist, Vinod Khosla and echoed (in his own subtle way) by SpaceX / Tesla founder, Elon Musk. Both were inspirational speakers and when merged with the question asked of Musk, “You will be disappointed if _______ doesn’t happen in your lifetime?” and the chalkboards I saw around an Austin hi-rise construction site that stated, “Before I Die I Want To _______” I came away with an urgency and a confidence to take on the world. Yes, this year was more crowded than ever. Trying to get into a panel meant missing other panels because it required a 45 minute pre-session sit-in to guarantee a seat. And parties, well, there were plenty, but again, if you wanted to go to the big ones, count on showing up well ahead of the start time. And I heard a lot of negativity. 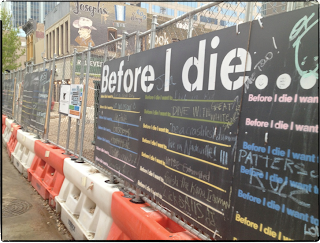 “This is my last year.” or “wow, this place is ridiculous, I can’t get into anything.” But if you’ve been coming to SXSW for a few years, then you learn how to navigate Austin for these few wonderful days. Flexibility is key and you want to give yourself room to end up on an unplanned adventure that might put you on a bus or cab ride to something you will never forget. And the food, believe it or not, Austin’s food gets better every year. It is already my favorite food town in America but each year I discover even more, often from a truck or at a party. Rarely from an actual sit down restaurant. (Not knocking Austin restaurants, I just rarely find myself eating at one during SXSW). 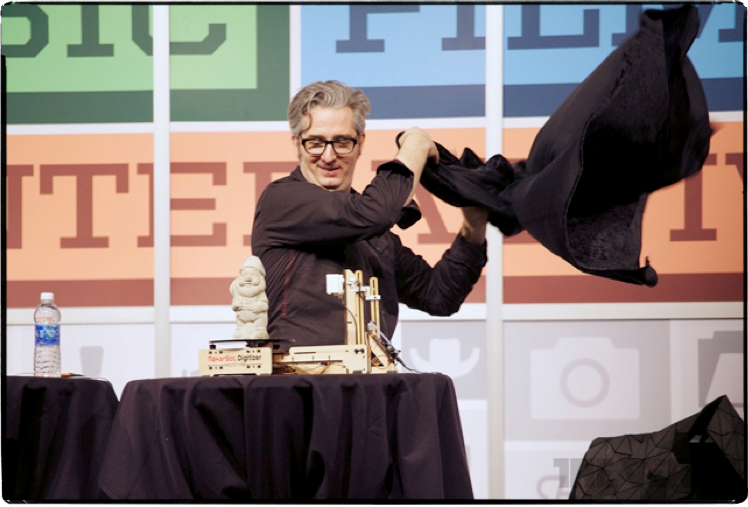 Bre Pettis, the founder and creator of the 3D Printer opened the conference by explaining all the ways that 3D printing is changing our lives. In addition to telling us how easy it is to replicate missing toy train tracks and create shot glasses, he debuted the new 3D scanner which literally spun a garden gnome on a plate while lasers captured all aspects of the object. While we all don’t need a 3D Printer today, at a reasonable cost of $2,200 (relative to its magic-like capability), it was easy to see how these could be a home staple in the coming years. 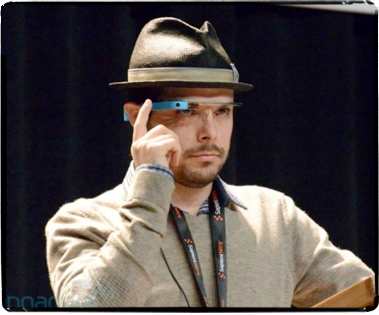 The new futuristic Terminator-style Google Glasses were all the rage at SXSW. There were demonstrations and a handful of friends of Google were spotted donning their glasses about town. Personally, I can’t wait for these. Meanwhile at the Google Playground popcorn, candy, and mini peanut butter and jelly sandwiches kept me satiated as I did the obstacle course wearing talking shoes that told me to keep going when I really wanted to rest and have a root beer float. 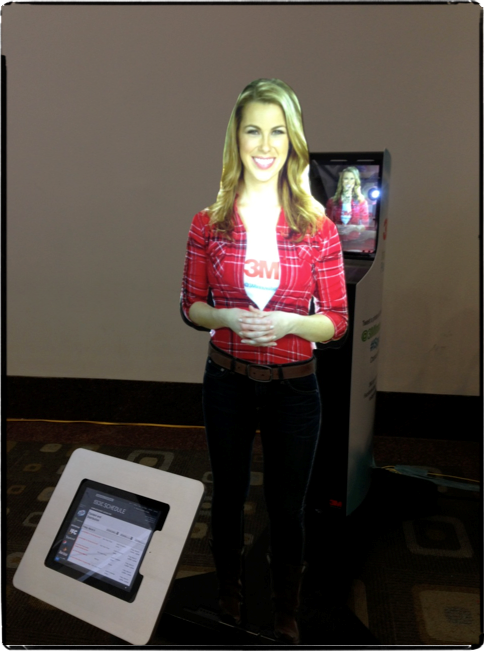 If you were wondering where to go and what to do at SXSW, never fear, Jennie, 3M’s hologram-ish virtual concierge was there to answer your questions and make you uncomfortable with her Disney Haunted Mansion-like eyes that followed you as you strolled the Austin Convention Center. I actually liked this display and saw it again at JFK airport welcoming me to the Big Apple. If you make your living as a greeter, you may want to start expanding your skill set. 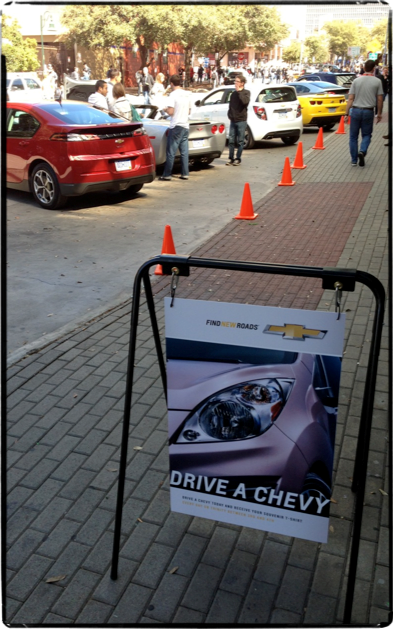 Chevy provided the best utility once again with their Catch A Ride activation enabling people to test drive everything from an electric Volt to a sporty Corvette. Need a lift in the rain, try flagging down a Chevy. No really, try. Needless to say, I got pretty wet on Saturday. Uber CEO Travis Kalanick spoke at the conference and told us all about the trials of bucking up against the old world of taxi driver cartels. 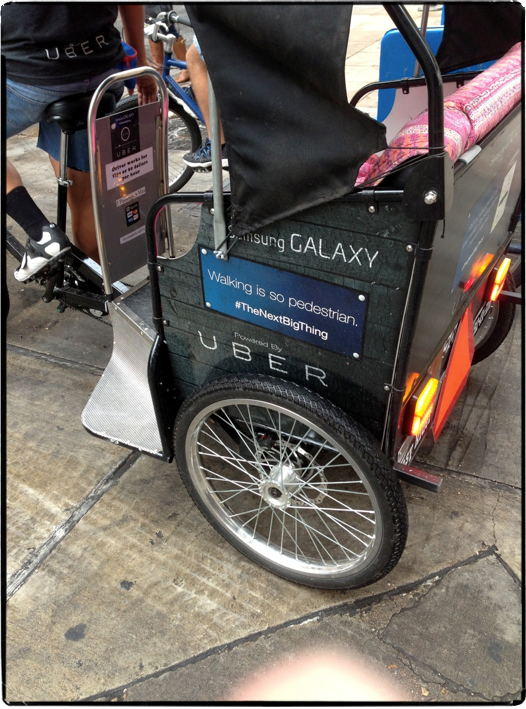 Meanwhile Uber sports cars were seen driving people around along with Uber pedicabs which offered free rides to Samsung Galaxy phone owners. 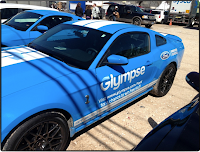 Ford could be spotted showing off their open source programming for their vehicles with a collaboration with Glympse. If you don’t know, Glympse is an app that can show your friends where you are when en route to meet up. It may sound a bit creepy, but think about how many times you’ve wondered what’s taking your buddy so long to get to you. 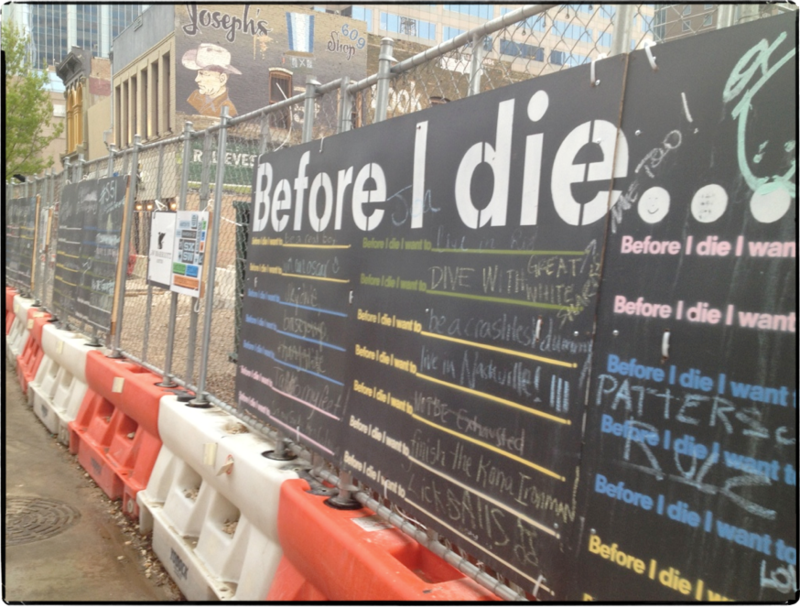 Getting a drink in Austin is not that hard to do. 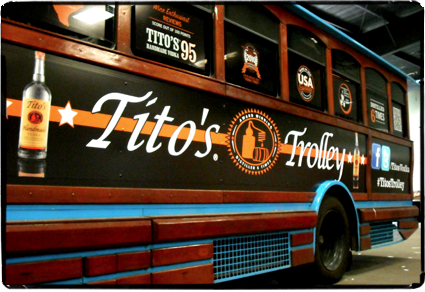 Local vodka company, Tito’s made it even easier by providing the Tito’s Trolley that circled downtown Austin while whetting your booze whistle in the process. A simple activation that ironically stood out in a crowded field of brand activations. Meanwhile, this year’s award for most visible brand was Samsung. 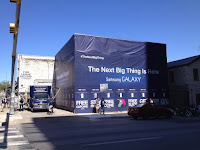 There were numerous activations including pop-up stores, rooftop party decks, the aforementioned pedicabs, old-school phone booths, and even a giant building enabled with NFC which offered up cupcakes, drinks, and snacks when your Galaxy Tab phone was tapped against the bricks. 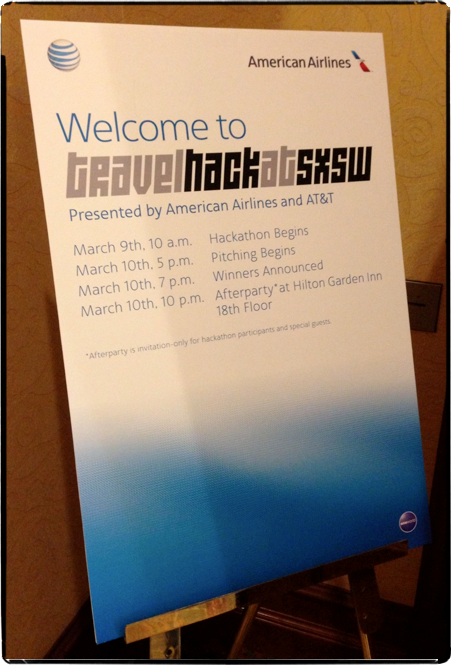 Merging branding with innovation, American Airlines and AT&T combined for a Hack to create the next great travel app. 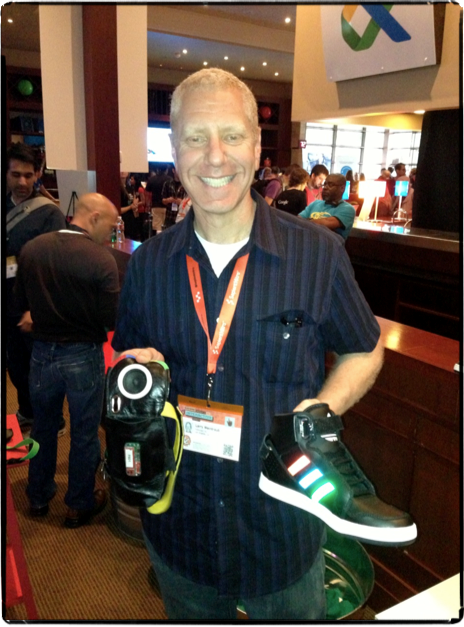 We didn’t get to see the results, but we were told that over 50 developers participated in the event. In the App world, there were some previous year favorites hanging around such as Highlight and GroupMe both geared to encouraging people to get to know each other a little better amongst the crowds of people. While mobile payments could be felt from Square, Level Up, Intuit, and others. It was actually hard to pay with cash at times and nearly every food truck in Austin was ready to swipe your credit card across their iPhone. 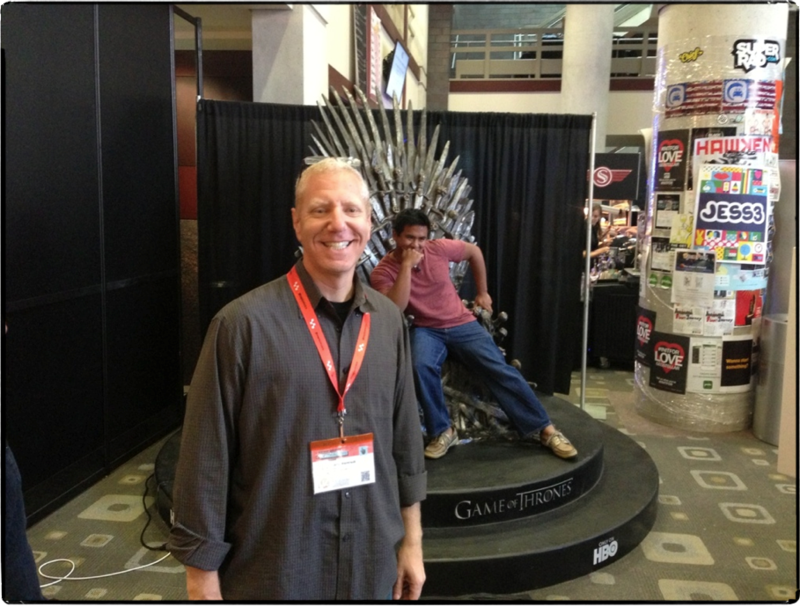 Content was king at SXSW this year. TV networks were prevalent and at any moment you could find yourself posing on the Game of Thrones throne, meeting the stars of Deadliest Catch, checking out with SyFy Network and Warner Brothers had to offer, or learning the secrets of the new Netflix season of Arrested Development. 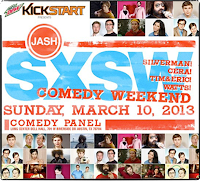 Also showcasing in the quickly growing field of digital content was the comedy troupe JASH, made up of Sarah Silverman, Michael Cera, Reggie Watts, and Tim & Eric. Underwritten by Mountain Dew’s new energy drink Kickstart and built on the YouTube Channel platform, JASH made quite the splash. 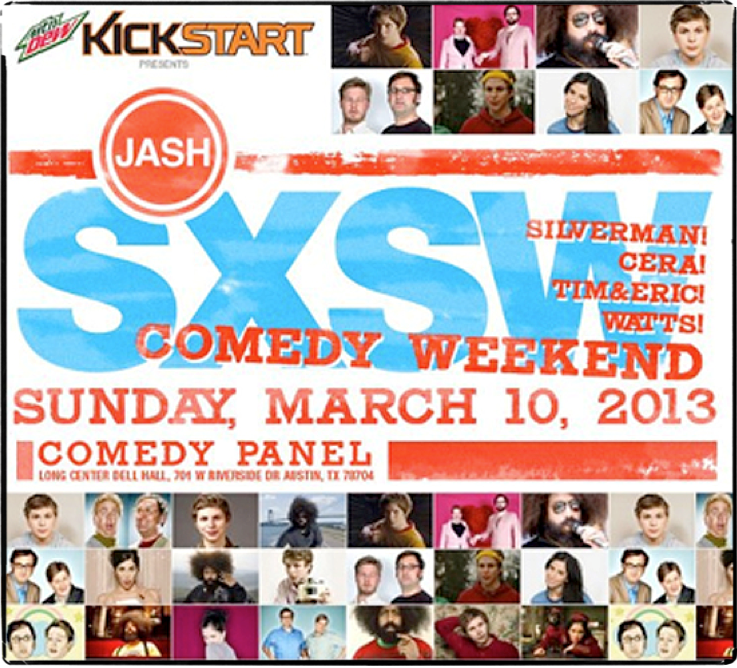 If the teaser they provided at SXSW was a sign of times to come, we should see some great comedy coming our way and some incredible brand integration that feels relatively natural and not forced. So much to see, so little time, so much fun, so much inspiration.